To combine a walk with a visit to Beaulieu International Motor Museum, Damian and I are walking backwards – or rather eastwards today. We are woken early in our B&B by the noisy good natured banter of market traders – what a palaver! (“palaver” comes from the Portuguese “palaver” meaning “word” and later used by colonialists to describe the heated discussions of traders in West African communities. It later arrived on ships and was absorbed into Cockney). 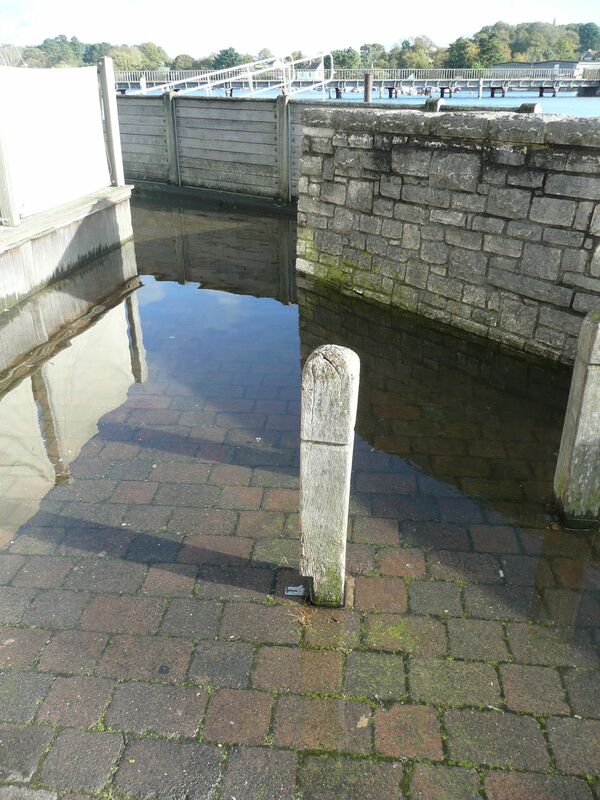 It had been raining heavily during the night so when we arrive at the quay, a very deep puddle makes it impossible to follow the river bank, so we retrace our steps into town and walk along a road parallel to the river. Coming to the river we cross over a road bridge with signs warning motorists of crossing otters (how long must it take for an otter to cross a road? Answers on a postcard…….) and then turn right along the main road. Fortunately we soon spy a footpath sign off to the left which takes us up into a quiet wood. Acorns are strewn across the path and with eyes down I do not see the monument up ahead until we’re right underneath it. 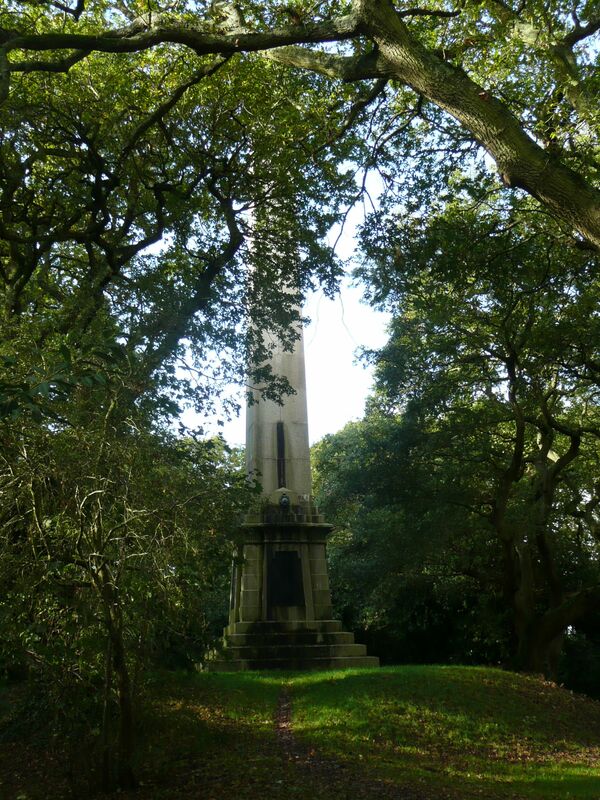 Stretching up into the tops of the trees this impressive 75 ft obelisk was erected in 1842 in honour of Admiral Harry Burrard Neale. He was Mayor of Lymington and helped introduce gas street lighting to the town, he was also a close friend of George III and his sister modelled many times for Gainsborough. 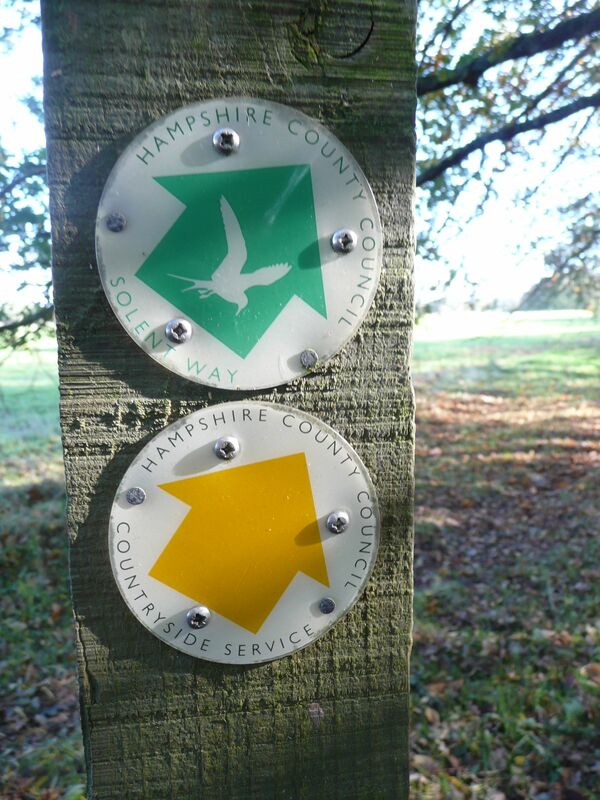 From now on it’s a bit of road walking but very soon we find signs for the Solent Way which takes us over fields and through woods and eventually out on to the road all the way to Bucklers Hard. 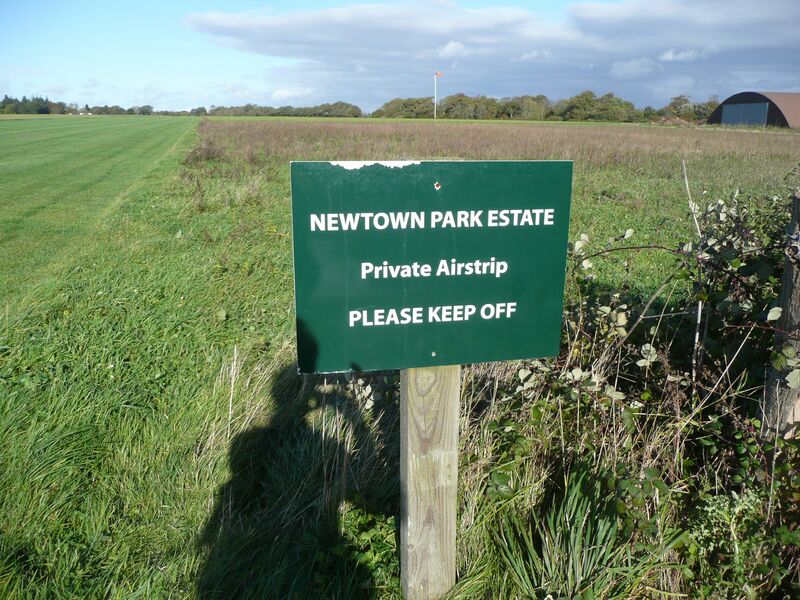 On the way we pass a private landing strip which used to be Lymington Airfield, home to the American 50th Fighter Group just before D-Day, but now owned by a millionaire who likes to play war games and annoy the locals (according to the Daily Mail). 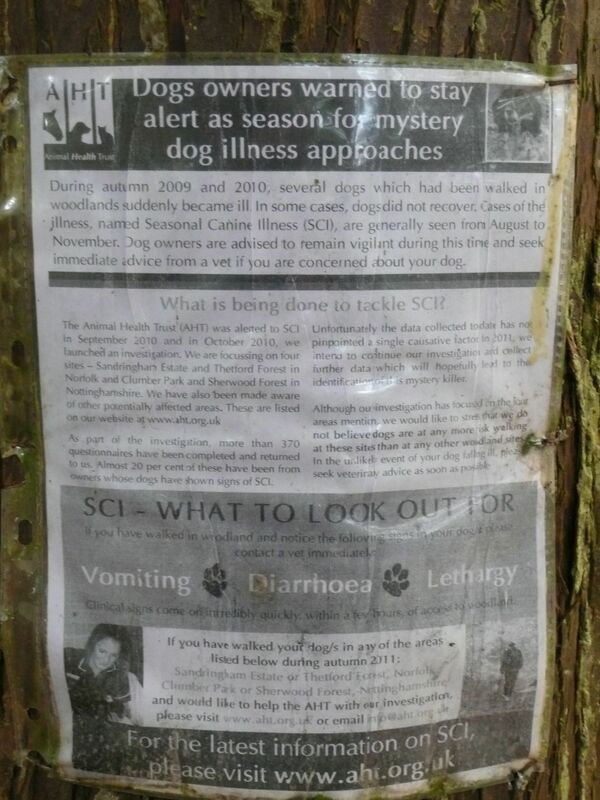 A little later we pass a poster warning of a seasonal mystery dog illness – ME for dogs……. 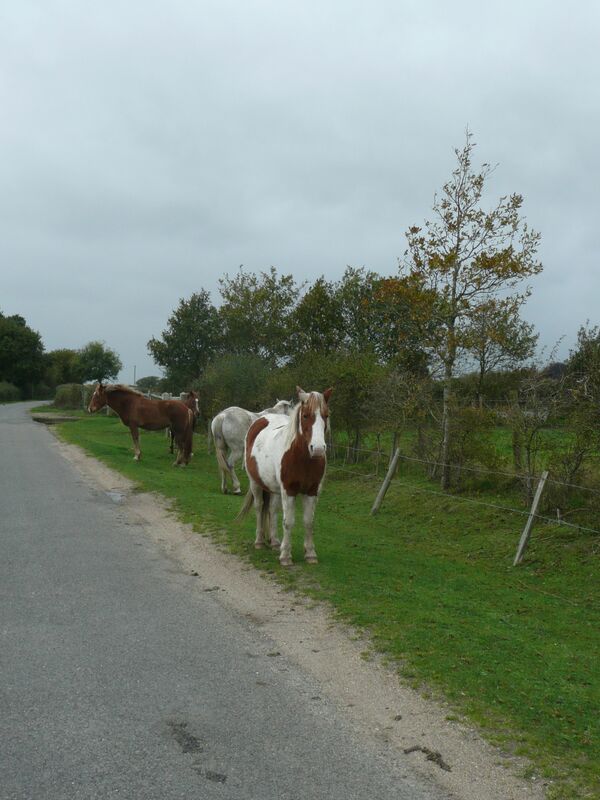 …….and then we’re out on the road taking our chances with New Forest ponies (although they all seem to be sleeping as we walk through, me expecting a charge any minute). Just before Bucklers hard the heavens open and it’s head down into the rain. It has been a short and now a very wet walk. Love the word ‘Palaver’ as I do ‘Rigmarole’ and ‘Kerfuffle’ all have been used in my experience to describe an unnecessarily confused or farcical situation, we would use kerfuffle if there were some pushing and shoving going on! 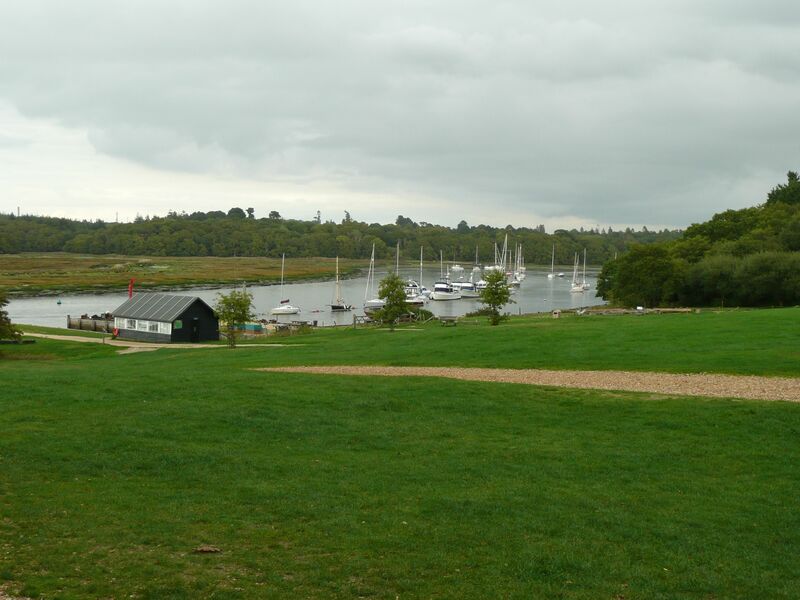 Seems that wanders through the isles can inspire neglected words and phrases, I think ‘Bucklers Hard’ very inspiring.